These are the greatest films of all time. They are the reason people watch movies. They fill you with joy, sadness, hope, laughter, and everything else you are suppose to feel. They are the reason directors even try to make films. They are the reason why you live life 24 frames a second. They are the only place true cinephiles live. They are the only drug that can get you high. They are everything you wish you saw in society. They are the parents that raised you to be the people you are today. They are the reason you spend so many hours in the dark. They are the only happiness you find on those awful, rainy days. They contain the moments that you try to share with the ones you love. The moments that you keep visiting year after year like an old friend. The moments that motivate you to keep going. The moments that change who you are as a person. The moments you relive more than your actual memories. The moments you try to recreate in your life. These are the only things that never let you down in life. These are quite possibly the only reason you are alive. These are the study guides you actually study. These are the things you swipe right on. These are the things you lie awake thinking about at night. These are the things you use to test whether or not you’ll date someone. These are the best days. These are the worst days. These are the only manuals to life that you need. These are the things you cuddle at night when you’re lonely. These are the things you cry about at night. These are the things you talk about day and night. These are the things that you dream about. These are the things that make you dream. These are the things that give you hope. These are the things that fill the cracks in your DNA. These are the greatest films of all time. Chris Marker’s La Jetee at only 28 minutes long manages to be as complex and dense as films that uses three times the run time; this is because La Jetee is a time traveling romance which manages to also be a philosophical essay on how your childhood memories affect your adult lives. 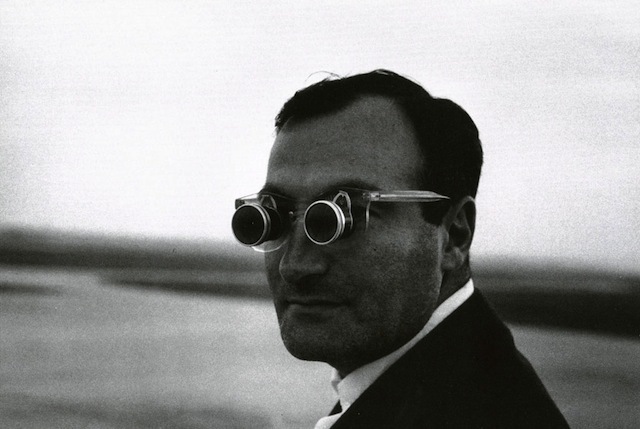 Marker tells the story of La Jetee mostly through the use of still photos because he couldn’t afford to rent a film camera for more than a day; however, it is through the use of these still photos that these images linger in your brain much longer than a single shot in film would. The most beautiful scene in La Jetee is when the protagonist and his love go to a museum; the way Marker captures the beauty of their doomed romance is as romantic as it is heartbreaking because it reminds you of all the dates you’ve been on while reminding you why that relationship failed in the first place. The way Marker interacts with your memories is unlike any filmmaker in the history of film; it isn’t ironic that one of his most explored themes is memory and how it relates to identity. La Jetee has the ability to pull memories from your brain that you completely forgot about which is to say La Jetee is quite possibly the rarest of films: the kind that find fills the gaps in your memory and becomes your memory. Jean Cocteau was obsessed with the myth of Orpheus; he went so far as to make three different films that all included the myth of Orpheus in some way; Orpheus was the best of these attempts to capture the beauty and poetry of the myth truly showing the poetry in Cocteau’s style. Even though he was originally a poet of words, many of the most beautiful scenes in Orpheus transcend the poetry of words in favor of the poetry of the moving image which is to say that Orpheus isn’t a film concerned with plot so much as the moods and emotions that are evoked. The most beautiful scene is when Orpheus travels with Heurtebise travel to the Underworld; there is something so magical in the way Orpheus and Heurtebise enter the Underworld through an everyday object like a mirror and then travel through this strangely familiar, yet completely foreign desolate landscape. 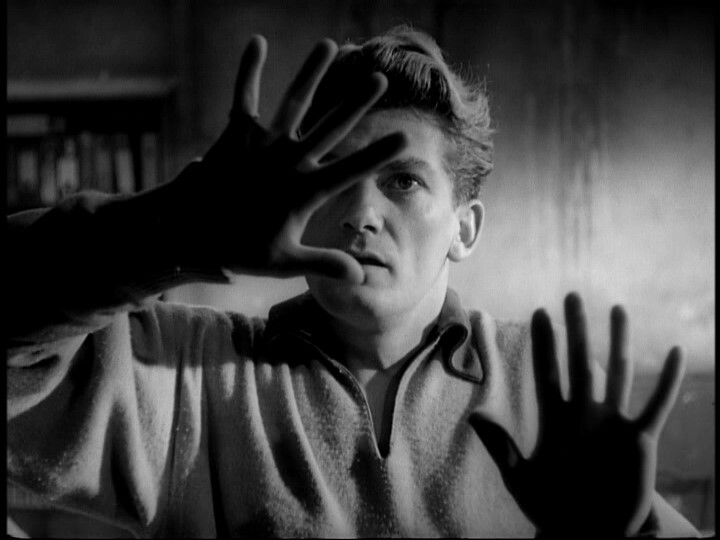 Cocteau manages to capture the magical feeling that is lost in contemporary cinema due to the overuse of CGI creating less authenticity in the worlds that are created. Orpheus is the kind of film that reminds you why you have dreams in the first place, and why you need to continue dreaming because Orpheus is, as Cocteau said, “a sleep in which [the audience] is dreaming” making Orpheus the most magical film ever made. Of all of Alfred Hitchcock’s masterpieces, Vertigo is undoubtedly the most hauntingly beautiful film that Hitchcock ever made. From the lush colors of the film to the Bernard Hermann’s score to the characters, Vertigo is and will always be Hitchcock’s greatest film. The first half of Vertigo has the greatness of most Hitchcock films, but the second half of Vertigo is what makes Vertigo linger in the mind long after the credits. The beauty of Vertigo lies in Scottie’s relationship with Judy because their relationship is haunted by Scottie’s past relationship with Madeleine. 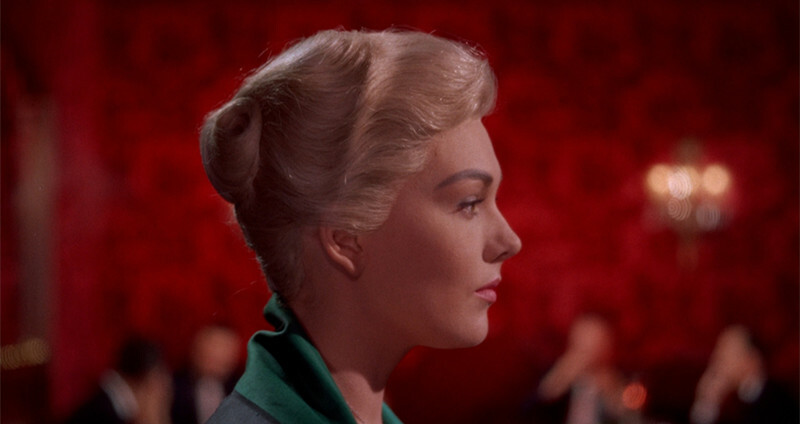 The most memorable scene in Vertigo is when Judy’s transformation into Madeline is complete; the way that the green starts by enveloping Judy, but eventually envelopes both Judy and Scottie which is Hitchcock’s way of visually telling the audience that both of the characters are consumed by Madeline so heavily that the only way they can ever love each other again is through her. Hitchcock captures so well the way people try to mold the ones they love to fill their own needs rather than just loving them for who they are. Scottie could’ve accepted Judy as Judy, but instead slowly transformed her into what he needed her to be; he was trapped in the past like Jay Gatsby chasing something all ready gone. By watching Scottie’s behavior and narrative unfold, Hitchcock makes you reflect on your relationships with people and how you try to shape them to fill the holes left inside you from your past; Hitchcock makes you confront yourself through Scottie, and while Vertigo didn’t end with Scottie’s tragic death, it ended with something much more painful and tragic for Scottie than his own death: the death of the past he tried to relive. 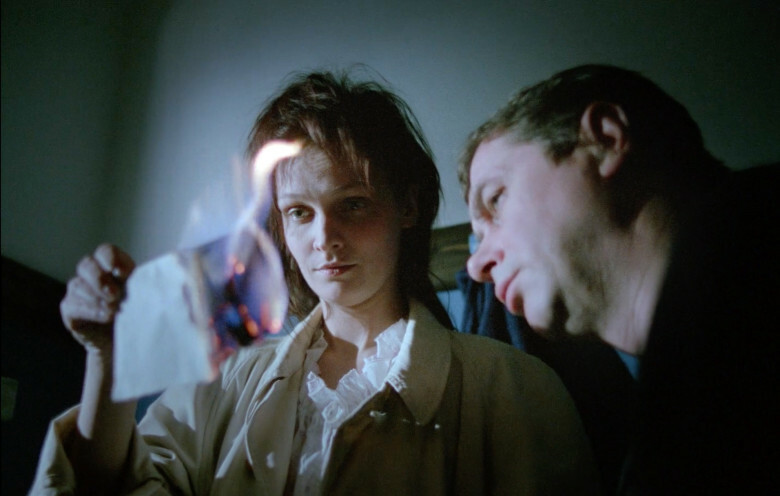 Dekalog would’ve made the list if the series was only one of the ten episodes; this is because there is so much beauty and brilliance behind the performances, the stories that are told, and the cinematography in Krzysztof Kieslowski’s Dekalog. Stanley Kubrick believed that Dekalog was the only true masterpiece he saw in his lifetime. The best of the ten short films is the fifth one; Kieslowski believed the same which is why he picked it as the episode he wanted to make into a feature film. In Dekalog five, the audience experiences the most heartbreaking death sequence in film history when the young protagonist, Jacek Lazar, is hung; it is the single greatest argument against capital punishment because you feel the pain of Jacek as he is dying due to the desensationalized way Kieslowski shot his death. You are there in the room with everyone watching someone slowly die, and you can do nothing about it except watch. Other highlights in Dekalog include Tomek and Magda going on a date in Dekalog six, Romek’s bicycle accident as well as every other scene that shows how much he hurts inside in Dekalog nine, Janusz and Ewa talking at the train station in Dekalog three, and the ending of Dekalog ten; however, nearly every scene in Dekalog is a masterpiece because Dekalog is the rarest of films: as you grow throughout life, Dekalog grows with you until it becomes apart of you. There are so many great moments in Twin Peaks that it would’ve ranked first if it wasn’t for the latter half of the second season. David Lynch and Mark Frost created a film so immersive that the characters feel like neighbors; you care about them, and you watch and rewatch the show trying to relive the memories that you have with them. Whether it is when Donna is crying in school, when Norma and Big Ed are sneaking off together, when Andy is trying to figure out Lucy, when Audrey is flirting with Cooper, when James, Maddy, and Donna sing together, when Audrey is dancing to the score, when James leaves Donna, when Laura is struggling to make it through family dinner, when Dougie wins so many jackpots that he becomes known as Mr. Jackpots, when Cooper is talking to Diane, when Cooper has his dreams, when Cooper finds out who the killer is, when Ben Horne believes he is Robert E, Lee, or when Laura is saved by Cooper, Twin Peaks has some of the greatest scenes in the history of film. 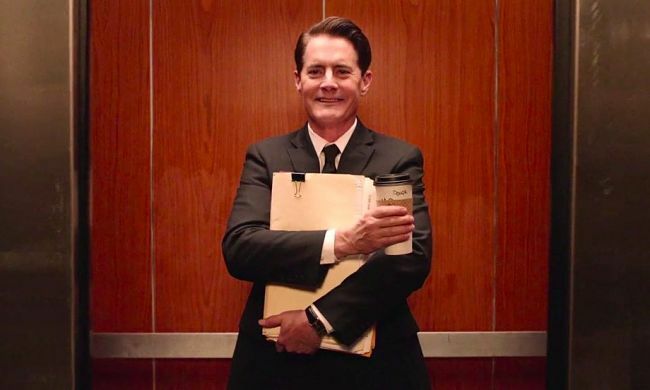 However, the greatest scene in Twin Peaks is when BOB kills Maddy because it recreates how heartbreaking Laura’s death was for the people of Twin Peaks, but this time around you feel the heartbreak as well instead of just watching how it affects the characters; you become Donna crying in a classroom, the girl running and screaming from school, Sarah freaking out about Laura’s whereabouts, and James wanting to just leave from the situation because the sadness is too much to handle. All of these moments and more become forever engraved inside you like a tattoo on your heart. Because of this, Twin Peaks becomes home to not only the characters you love, but to you as well.